The Tesla Punk 220W is the successor to the retro, art-deco inspired Tesla Nano Steampunk 120W that hit the shelves in early 2017. 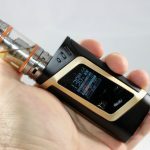 This device is beautifully designed and guaranteed to be a conversation starter in any vape setting. The initial focus of attention is the clear panels on each side of the Punk showing various interlocking gears and the bright RGB LED lights capable of firing in five different patterns. But upon closer review, the Punk 220W reveals itself as very modern and fully capable mod. The Punk 220W can handle specialty coils in TC mode, personalized TCR mode as well as adjustable ramp up wattage in Taste mode. The Punk 220W is available in three unique colors: Gunmetal, copper and in brass, as seen in this review. 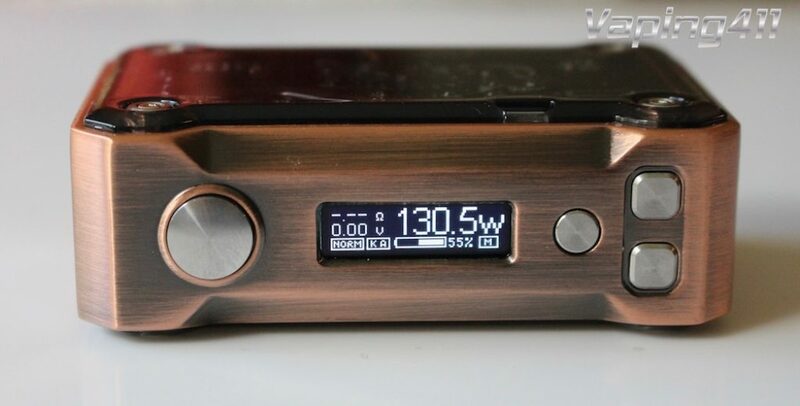 Detailed review and features of the Punk 220W box mod. The Punk 220W is one of the most uniquely designed mods on the market. This advanced mod handles specialty coils and fully customizable Click the "GET IT HERE" link and for FREE SHIPPING. The OLED screen provides a wealth of data regarding the mod settings. The battery cover uses a push and pull mechanism with magnetic support. The design of the battery cover is an improvement from the hinged style covers used in the past. Hinged battery covers would become weak over time and open easily with the slightest bump. The new design is basically a push and slide function that seems to do a better job, but can still be improved upon. The positive and negative terminals are easily visible inside the battery compartment to ensure correct battery polarity. Please note that two high wattage 18650 batteries are required for this device and not included in the kit. Side panel one shows various mechanical wheels and circuitry. Side panel two shows mechanical wheels and etched Tesla Cigs Punk 220W brand. One of two yellow 18650 batteries can be partially seen through this side panel. 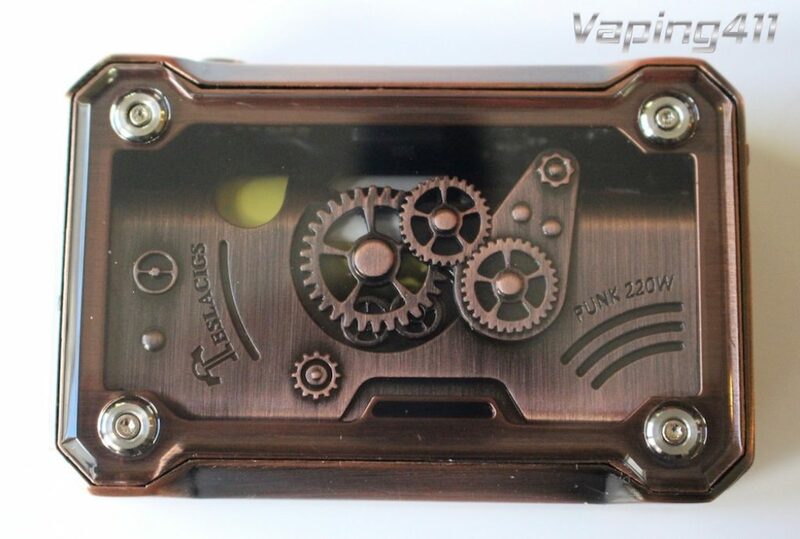 The Punk 220W utilizes the same chip set as the Nano Steampunk 120W. 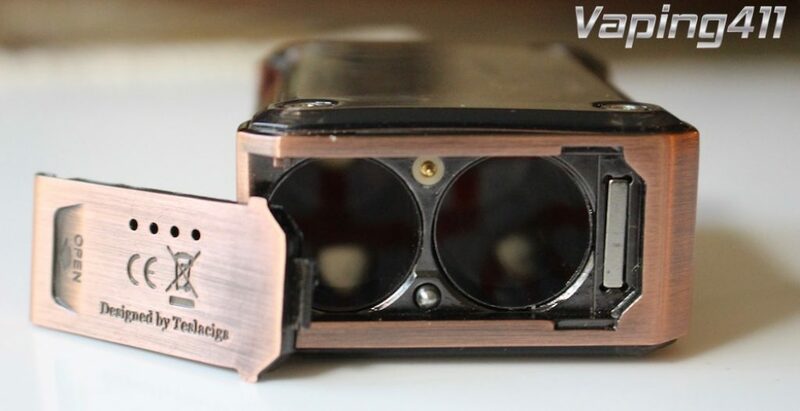 Users can access the settings by clicking the firing button 3x and navigate through the OLED screen menu by using the left and right button on the bottom of the device. Once the desired menu item is highlighted, click the firing button 1x to adjust the setting. Some highlights of what the Punk can do are listed below. What is Taste Mode? This is basically the strength of the ramp up wattage for the coil. For the Punk 220W, there are four different settings: NORM, HARD, SOFT and USER. A SOFT setting gradually ramps up the wattage. A HARD setting hits the coil with the desired wattage at full throttle, and the USER setting allows for the ramp up to be personally customized. The Punk 220W Temperature Coefficient of Resistance (TCR) allows the user to customize the temperature control settings for specialty coils such as Ni200, SS316 and Ti. A great reference for TCR value ranges is provided below. 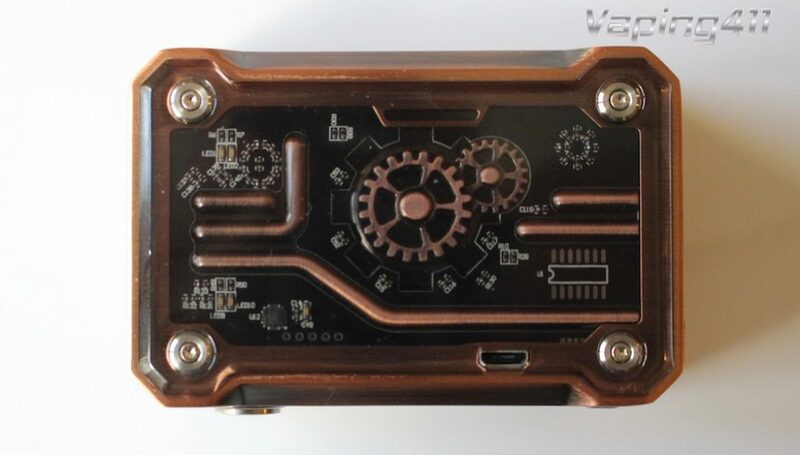 The Tesla Punk 220W has a micro USB port which can be used for charging the batteries. However, for safety purposes, Vaping411 recommends using a battery charger to charge the batteries separate from the device. The firing button is elevated from the device making it easy to locate in dark settings. The Tesla Punk 220W has an eye catching design and all the bells and whistles found in modern advanced mods. 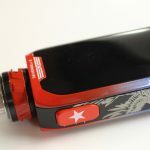 A user can vape specialty coils in customized TCR setting or adjust the ramp up wattage in Taste Mode. The only real drawback is that it's not a very portable device. The Punk 220W weighs 280 grams (without the two batteries) and is rather hefty. Additionally, the light display is neat, but somewhat gimmicky.